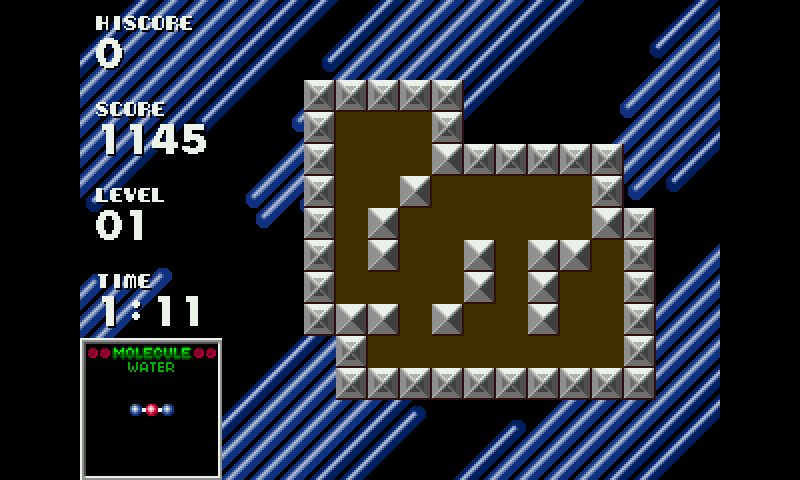 Atomiks is a faithful remake of, and a tribute to, Atomix, a classic puzzle game created by Softtouch and RoSt released in 1990 by the Thalion Software company. 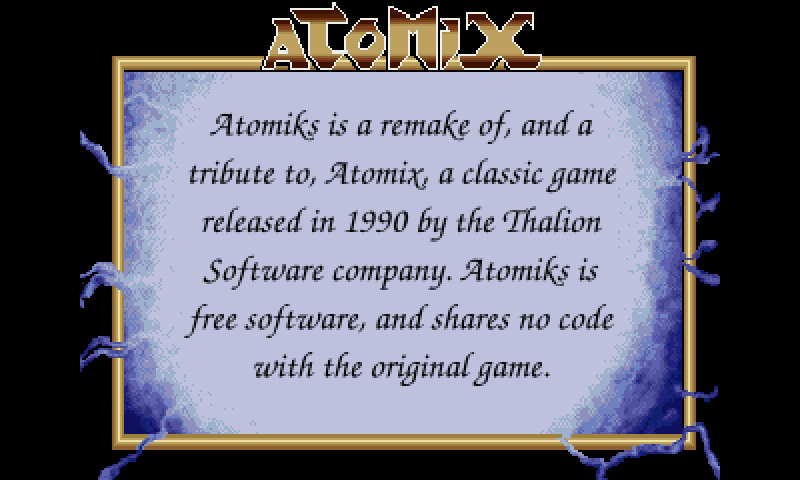 Atomiks is free software, and shares no code with the original Atomix game. more specifically, the atoms must be arranged into a specific shape, identical with the shape of the molecule displayed on the left side of the screen. 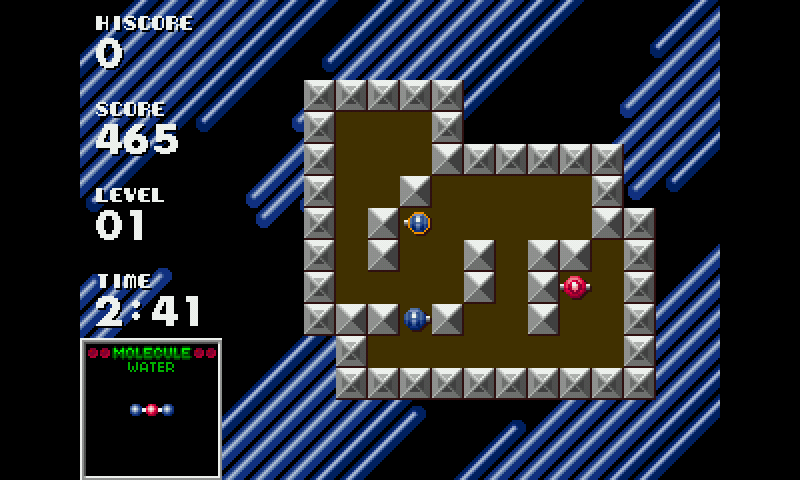 The player can choose an atom and move it in any of the four cardinal directions; however, a moved atom keeps sliding in one direction until it hits a wall or another atom. Solving the puzzles requires strategic planning in moving the atoms, and on later levels with little free space, even finding room for the completed molecule can be a problem." altough this license does NOT apply to level design and graphics used by Atomiks, since these remain the intellectual property of their authors, Softtouch and RoSt. Therefore you CAN'T reuse any of the level design or graphic elements, unless you get written permission from Atomix's copyright holders. 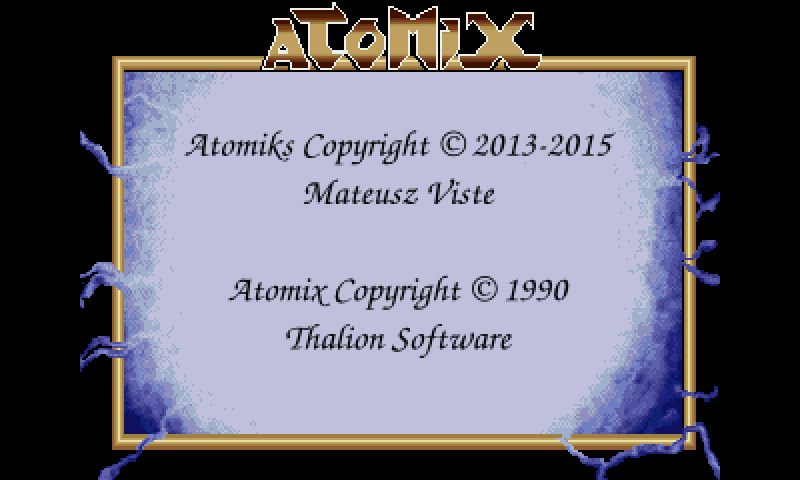 who has been explicitely authorized to reuse graphical and design elements from the original game by Atomix's copyright holders for the sole purpose of creating Atomiks.